Gold prices jumped in Asian trade on Thursday following a widely expected FOMC rate hike and a neutral rhetoric from Fed Chair Janet Yellen in regard of future interest rate moves. Traders of the yellow metal were also bullish in anticipation of the Bank of Japan’ latest policy review, which is due to be released later in the day. On the Comex division of the New York Mercantile Exchange, gold for April delivery was up 2.17 to trade at $1226.70 a troy ounce as of 06:45 GMT. The Federal Reserve Open Market Committee (FOMC) rose its benchmark rate in 25 basis points to a range of 0.75 percent to 1.00 percent, marking its second increase in three month. The decision was supported by solid employment and inflation data, showing that the economy is currently performing at levels able to deal with rate moves. While there were almost no signs of future moves during the meeting, the regulator reminded the public that there could be as much as two other hikes this year. As always, Yellen insisted that such moves will have to be backed by strong economic data. “The actual path of the federal funds rate will depend on the economic outlook as informed by incoming data," the FOMC statement said. Yellen also said there is plenty of time to weigh Trump policies and understand what’s the best way to adjust and move forward with them. US equities have been speculating over higher fiscal spending, deregulation and tax cuts since November 2016. Oil prices edged up in Asian trading on Thursday, extending overnight gains after official data showed a drop in US crude stockpiles last week, easing worries about global oversupply. The US Energy Information Administration said inventories went down by 237,000 barrels in the week ended March 10. Market analysts expected a 3.7 million barrels build. A day earlier, the American Petroleum Institute (API) reported a drop of 531,000 barrels. US West Texas Intermediate oil futures traded at $49.14 a barrel on the New York Mercantile Exchange, up 0.57 percent from its prior close. The international Brent crude oil futures rose 0.62 percent to trade at $52.13 a barrel as of 06:45 GMT. Yesterday, markets were entirely focused in the Federal Reserve meeting results. As it was widely expected, the American regulator rose interest rates by 25 basis points to a range of 0.75 percent to 1.00 percent, while adding that there could be as much as two extra hikes in 2017. However, the FOMC statement and Fed Chair Janet Yellen provided no clues about future moves, although their textual message was that the economy is doing well. While higher interest rates promote a stronger dollar, in which oil is denominated, the bearish impact on both benchmarks was limited by the EIA report. 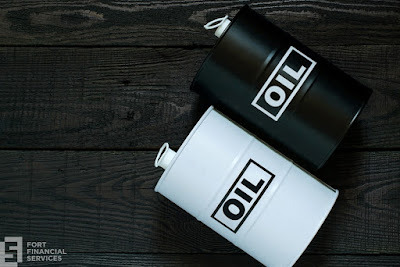 US crude inventories have been on the spotlight in the last few months as the Organization of the Petroleum Exporting Countries (OPEC) agreed to reduce its output levels for the first semester of this year in order to fight oversupply and prompt up prices.